Come every Lunar New Year, you will find pineapple rolls/tarts being sold like hot cakes here in Singapore and Malaysia. It ranks top in the list of popular baked pastries among Malaysian and Singaporean Chinese celebrating this festive season. While they come in many variations (and ranges in taste, texture, and sweetness), we can simply place them into either the open, closed or rolled types. The rolled type, known as Nastar in Indonesia, is the one I liked best as it has the right combination of texture and taste that suits my taste bud. Luckily, I managed to compile a handful of pineapple roll recipes from other food bloggers and cookbooks to recall and make comparison. Even though no one particular recipe actually met what I was looking for, there are two great references that I relied a lot when making these pineapple rolls. They are found in “Baking Made Easy” by Agnes Chang and “At Home with Amy Beh” by Amy Beh respectively. Not to forget my good blogger friend Selba from Selby’s Food Corner (whose mother is an experienced Nastar baker and has been selling it for more than ten years) who unselfishly gave me very valuable advice and tips. Thanks Selba!!! One very important advice from her is “If you want to have the best pineapple jam, either you grate the pineapples yourself or you buy the jam. Never blend them.” Yes, I totally agreed with her, which I will explain in the following paragraph. Besides grating your pineapples, getting the right type of pineapple grater is also equivalently important if you are looking for the finest fibrous texture. Never take any short-cut of blending your pineapples. I did that once and was very upset even though my pastry turned out delicious and crumbly. My hubby (who initially didn’t mind with the blending method) also got addicted to the fibrous and chewy jam texture made from grated pineapples. You can definitely tell the difference if you had a chance to taste and compare both versions. Both the jam and pastry have to be done properly. They must compliment each other. And, having the correct proportion of jam and pastry is of utmost important and the key to success. I weight each jam roll to be exactly 6 gram as I find the final product comes out best when munched in the mouth. Neither too much pastry nor jam. Just the right proportion for maximum enjoyment. Preferably, the overall size of the roll is just big enough for one mouthful to have the melt-in-the-mouth feeling. This is the art of eating. My ultimate goal to have a “perfect” pineapple roll! So my advice is, you will need to adjust the size of the jam you use to match the size of the pastry. Tum…tum….tummmmm! (drumroll) Let me now present to you my “exclusive” recipe that will churn out the best pineapple rolls in town. (Just joking! ). But if you follow the recipe closely, you will get the melt-in-the mouth pastry combined with fibrous jam texture. I must however forewarn you. Although this recipe is very simple-to-follow, it’s very time-consuming. You need to have patience. If not, please go to buy the ready-made ones. >>>> Click on page 3 to get the recipe, tips and more photos on how to make pineapple rolls …………..
Hi, just to share my experience. I managed to buy a plasic press from Phoon Huat. However, as I did not like the rolls too sweet, I used 3 pineapples and less sugar instead of the recommended 200g. Also for the pastry, I used only 30g of icing sugar and 227g of butter (as I did not want the rolls too buttery). I added slightly more flour than the recommended 360g. Because of all these adjustments, I find it difficult to roll out the dough. In the end, I had to do the open type of pineapple tarts. I like the tarts because they are not too sweet and I can taste the fibre in the pineapple filling. However, my pastry crumbles rather easily. Overall, I prefer the homemade tarts to those available on the market because I can adjust them to my taste. Because of your website, I get the courage to bake my own pineapple tarts! Thank you very much! Hi! I too tried your pastry recipe today. The dough was easy enough to make and the resulting pastry was nice. I must say though that pressing the dough out required a bit of strength. I was all tired out by the end of it! One question I have is – is the dough supposed to be quite fragile? When I press it out, I have to be quite careful as it would otherwise break off before I get the required length. Is yours as fragile? Should I be adding more or less flour? I followed your recipe exactly. At the same time, I also made another recipe to compare (rub in method). That pastry was more sturdy but yours was still better in terms of texture of the end product. Sash: Thanks for your kind feedback. Really appreciate that. The dough is fragile but manageable. I don’t suggest that you add or reduce the amount of flour as it will affect the taste eventually. Maybe you can try the method I used for coconut butter cookies. (http://food-4tots.com/2010/11/04/coconut-butter-cookies/). I haven’t tried out rub in method as well. So I can’t comment about it. Sorry about that. Should I keep the unused jam in the bottom part of the fridge or the top (freezer)? hi there. thank you so much for posting. i was born and raised in usa. also i am korean-american and did not have any SE asian friends growing up. so i never tasted pineapple rolls in my life. even until age 38 i never had them. i made them tonight and now i can no longer say i never had them. (but i want to try a “real” one. i have to go to SE asia soon!) thank you so much for all of your very explicit explanations. i have two photos i will share, a before and after. they are not pretty! very ugly. but they taste wonderful! i used thumb nastar mould. i now have a bruise on the palm of my left hand. VERY painful. i dont know if i can find a lovely press like yours. i will have to go to s’pore someday and visit phoon huat for the less nice plastic cookie presses. i found that i did have to chill both jam balls and dough to get nicer results. still with the terrible thumb press, the dough is almost impossible to force out straight. i would never recommend this. dough was very delicate. i was too afraid to try to use egg glaze, so i didnt. after baking, i was so glad i did not. the delicate spikes crumble sooooo easily. i dont know how anyone can travel with these. taste is fantastic. i really appreciate that even though there is some icing sugar, the dough is still not very sweet. it is also very melt in your mouth. but gosh, so so delicate! some of the jam melted out of the cookies during baking. maybe i need to chill the cookies 10 minutes before baking? i am not sure. thank you again, for your GENEROUS postings. your tips were invaluable. so much so that even people who have never tasted nastar or any kind of pineapple tart can still enjoy them! Hi..i want to ask whether the taste will be different if i use salted butter instead of unsalted butter? wow – i am a pineapple tart sucker and I am fussy if the pineapple tarts are not to my liking. I made from time to time more for own and friends. What interest me is the pastry press mould. Not sure if they sell in KL – Any ideas? I will definitely give your receipe a try. Your pastry is really pretty! So unique… can you please let me know where you bought the pastry press? Thank you! Hi LaiKuan, just wanna drop by to thank you for this awesome pineapple tart recipe. I used this recipe to make 12 pineapples worth of tarts this year and they are a hit with everyone who ate them. You rock! Ahhh… thanks to your recipe’s very detailed instructions. I think I will repeat this next CNY. Love your current recipes too. You mentioned the special pineapple grater. May I ask where I can purchase it from? Thks! What I did to get a milkier taste, was to substitute 2 tablespoons of flour with milk powder. It was great! may i know about how many kg for the pineapples to made this pineapple rolls ? Hai, tq for sharing ur receipe. im goin to try it for x’mas. Can I use salted butter and omit the salt. Hi, I would love to try to make this pineapples tart, because my hubby and myself like it so much, but unfortunately I can’t get the pineapply pastry press over-here, so what is your suggestion to replace the pastry press? Any other way to make the pastry? Hi, I’ve tried the recipe before. It’s very nice. Use the plastic pineapple roll pastry press. It’s very easy to work with. You can buy this from any cake ingredient shop in Malaysia. It’s very cheap. It’s about RM 5 for a set of 2 press. I can’t find this plastic press in S’pore. Hi Christine, would you be able to post a pic of the plastic press so when I visit Malaysia sometime, it will help me source for it. Thanks in advance. Thanks for the info but I am not living in Malaysia or Singapore, I live in Australia. But I will try the way you suggested. I finally bought the food pastry press when I was in Malaysia, and I finally made my first pineapple roll. And myself is quite impress with the result. So I just want to drop a line to thank you for sharing your recipe with us. Although it took lots of effort and time, but I would do it again, because they taste delicious, and you know exactly what’s in there and it’s 100% no preservative. Once again thank you and have a good day! I had tried out your recipe .The pasty n jam tasted awesome.The only problem i faced was it tend to break when i rolled it out n when i baked the pastry break n it got out of shape. Encouraged by the positive feedback given, I’m going to try and make these mouth-watering pineapple rolls for the coming LNY. In case I can’t get the recommended press, would the recipe work for the open type of pineapple tarts. (I know you mentioned it may not work for the open-type.) But still I wonder if anyone has successfully tried the recipe on the open-faced type of pineapple tarts. Thank you. Thanks for your recipe! I tried baking these using the same exact amount of ingredients but my pastry turned out too dry. It all cracked in the oven and they looked too pale. Any idea why? And how can I improve on this? Thanks in advance! Hi Lai Kuan, I made these tarts again this year. I have a question regarding the jam (was asked this by another friend who tried the recipe). Is there a reason you add the juice bit by bit when cooking down the jam? Most people just put in all the juice and then boil it down slowly in the first hour, this requires less stirring. Hi! I LOVE pineapple tarts but have never baked one on my own as my mum has always been the one doing all the CNY baking. But now that I’ve just recently got married, I wanted to try baking my own pineapple tarts for this coming CNY. *grin* I like your blog as it is easy reading and the tips! They are very helpful. I’ve just cooked the pineapple jam yesterday, but it turned out to be too sweet. Must put a mind note to taste before using the entire balance of the sugar in the future. Hope my pastry will turn out fine. *fingers crossed* Looking forward to more baking recipes and Happy Chinese New Year! My friends and I finally managed to find the time to try your pineapple tart recipes even though I had prepared the pineapple jam 2 weeks ago. The taste is great but for the jam, I added lesser sugar so that my boy can take it. In addition, our tarts were improvised into pineapple cookies cos we were using a cookie press from Wilton..but they did seem abit crumbly. Is there a reason why? Hello! I just want to say thank you for sharing such a wonderful recipe! I only came across your recipe after weeks of research! I followed your directions for the pastry and it was just awesome! I actually made the tangerine version (closed-type) and it worked beautifully being my first time baking these. These tarts simply melt away in your mouth. Will definitely bake them again! I wonder if you have more information on cooking jam using a rice-cooker? Would love to try that out if it works just as well! Will definitely do again for the coming CNY!Thank you again!!! Hi, glance thru ur recipe for the jam tarts…just to share my experience in making jam tarts. I do not use corn flour, sugar or even milk. The simple recipe just need flour, butter, salt & eggs. The pastry will turn out soft & it melts in ur mouth. 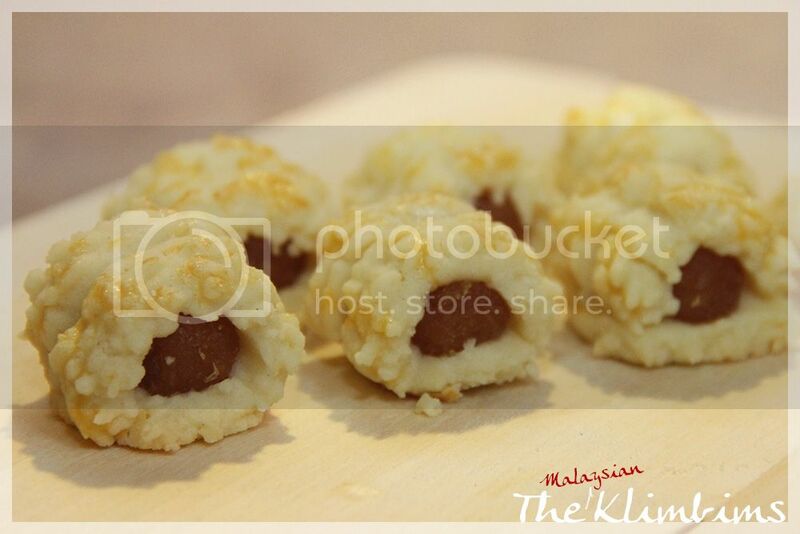 Tried your recipe and it come out tops but it has to be handled very delicately after baking. The pastry just crumbles…have I done anything wrong ? As in very delicate…the pastry breaks easily when lifting it up to the mouth….do you leave aside for 30 mins in fridge ?? Does leaving aside in the fridge for 30 mins improve the delicateness after baking or just for easier handling when rolling out the pastry ? SL: Did you use the same pineapple roll pastry press like mine? Can I use brown sugar as the subsitute for both the dough and jam? Can we use whole egg instead of egg yolk? Why we need to add corn flour? I would like to make less so do I just divide everyting by half? Js: I’m not sure as I haven’t tried it with whole egg. I would suggest that you stick to my recipe at your first attempt. The corn flour is to make the rolls more crumbly. Yes, you can divide the recipe as you wish. Hi, I really like your pineapple tarts they really look tasty and I must try this out. Before I begin, I would like to ask you whether the butter and icing sugar has to be beaten till light and fluffy? Many thanks. hi, I have used your recipe last year and it was well received. Have just made my first batch this year. Just a question, the pastry after baked is very crumbly. After putting them in container, some tend to crumble and becomes a mess. Is there any way to increase the sturdiness of the pastry after baked? I would like to share some pictures with you too, how can I do so? Same problem as described by Donna. What’s ur fan page name? Hi I am currently cooking the jam…does the pot need to be covered while cooking? Since now I have finished what needs finished, I will just share what I have done. Think the pot need not covered. Hi, i used to buy instant jam but i would like to try your recipe to make my truly home-made pineapple rolls.. feel excited on it! BTW, i would like to make some pineapple rolls for my vegetarian friend, do u think i can substitute butter with Margarine? if yes, could you recommend me the suitable brand? Thanks in advance! *regarding the butter -other than Luprak, what other brand can you recommend? Hi, in step 8 you mentioned that “this will take about 1to1.5hrs… ” are you referring to the whole process or just step 8? …for this one, I am not sure…maybe it is 1 to 1.5 hr just for step 8? Actually the rolls are really manageable, just need to be more careful. I just had a party a few days back and friends said the tarts r really nice. The texture is soft and nice. I think it was me that felt its very crumbly and felt worried but so far it has been fine. Thanks for the great and easy recipe to follow! Donna: Thanks for your wonderful feedback!! I really love to see your photo but can’t find it at my fan page. Did you upload it at the right place? I have not made the pastry yet as I am scourging for a suitable container that will hold about 20~25 rolls. Will a 10cm in diameter and 10cm in height cylinder cylindrical container be just nice? I am going to make it a gift to friends and relatives…Very thankful for the wonderful recipe. Hi, I have uploaded again on your fan page. I can see it on – Recent Post by Others. Probably you can see it there? Donna: The link you gave is not working. I think you didn’t upload at the right place as the link you gave didn’t show FoodForToddlers. It would be good to upload again your photo at my photo stream here: https://www.facebook.com/FoodForToddlers/photos_stream. i dropped u a private message. Pls see if u can see. Hi, I tried out your recipe yesterday. The pineapple jam smell nice and taste delicious. But I have difficulty managing the pastry. I can’t press it out using a plastic pastry press no matter how much strength I used. In the end I hand-roll the pastry but the pastry will crack and break into many parts before I finished rolling. I even put the dought in the fridge but still thr same. Is there any steps I missed out? I fold in the flour using a wodden spoon. Is it due to over folding the dough? Would like to thank you for this wonderful recipe! It has been a dream of mine to bake some pineapple tarts. With your very clear step by step baking method and useful notes/tips, I have successfully baked some awesome pineapple tarts! Felt so satisfying and fulfilling, thank you! Received great great feedback (they said I could have baked to sell it for the fact that it’s much better than those in the shops!!) from my family and friends! Just found this page and was happy to find out the company still sells the pineapple press but in stainless steel at RM30. It’s too bad they don’t do courier. Thanks for the step-by-step instructions. They encouraged me to try baking the tart myself! I went to the store today but the press with the pattern like yours was out of stock. Being a novice at baking, I thought it was a specialty supply store and I have to get the press there. I was disappointed to find out it was a normal baking supply shop, albeit a small and messy one. The location of the store was difficult to find as the map was inaccurate. We ended up at a baking supply shop nearby my house and found the same equipment (and it looks better) in stainless steel for RM28. So, price range is the same. There were also plastic press with an assorted patterns for RM13.50. I would assume getting the pineapple press shouldn’t be a problem as it is available in most baking supply stores. Just thought I update you. I made a mistake by melting the butter for the batter and continued on, taking my chances. Dough came out okay. It took a few attempts to master the press to get the right dough consistency but afterwards it was fairly easy. I LOVE the press! Thank you for recommending it!!! And THANK YOU for your detailed baking instructions. Since I’ve never baked pineapple tarts before I’ve decided to purchase the plastic press (RM13.50) instead so I could throw the whole lot if my baking attempt failed. The plastic press was good, cookies turned out better than I thought. 🙂 Will post a photo of the press and cookies in your FB soon. BTW, I also bought a traditional flower cookie mould (in brass and wood). Could I use the same pastry recipe for it? Alice: Thanks for sharing your kind feedback together with the photos! So glad this recipe works great for you too! So sorry. I’m not sure of the outcome as I haven’t tried making open-type pineapple rolls with this recipe. Maybe you can give it a try and share your feedback with me again. 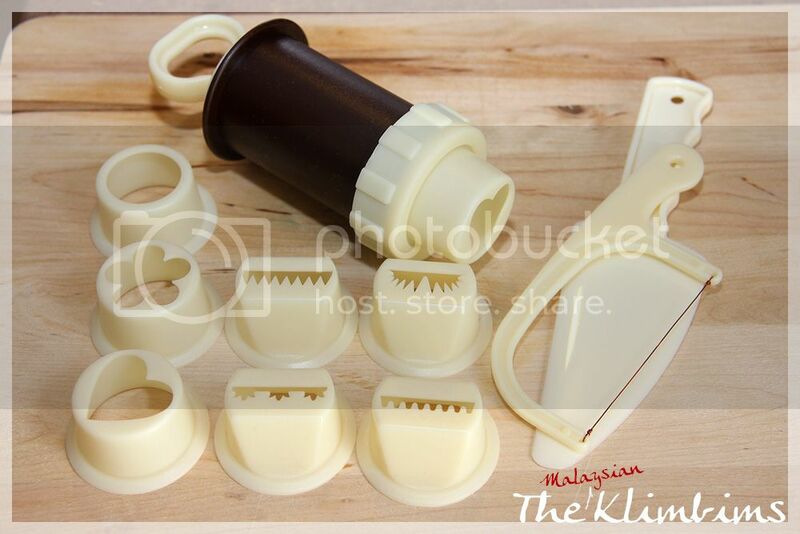 Here’s the photo of the plastic cookie press I purchased for RM13.50 in SS24, PJ. hi, is anybody (Alice? anyone?) 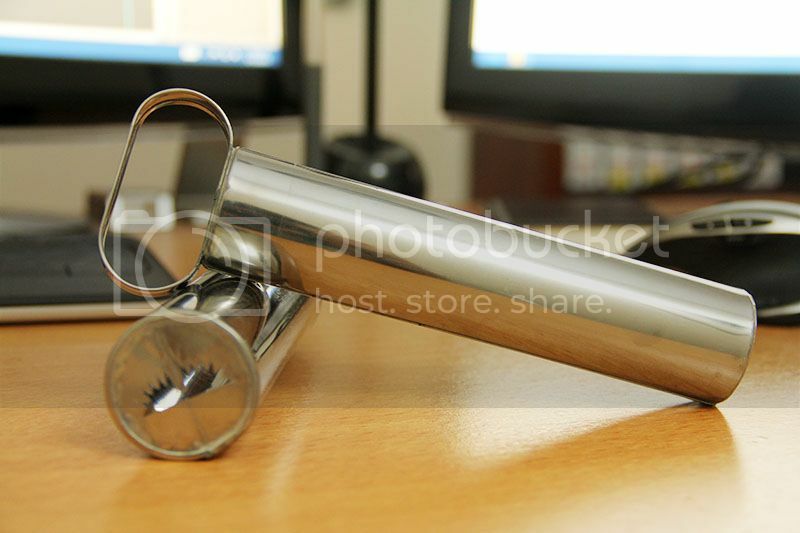 in KL willing to purchase and send to america a stainless steel pineapple press? i have been wanting to purchase one for several years. i cannot find any online. i can pay with us dollars or we can work out a trade where i mail you something from the usa. please contact hahnak at the gmail.com. thank you so much. Sure, I could do that for you. I’ll send you an e-mail with the plastic press I’ve purchased and you can decide if you want that or the stainless steel. 44 queries in 0.379 seconds.